Here's basic, affordable resource for Bible study! This handy-size guide to the Bible contains thousands of entries on the people, places, things, and ideas of Scripture. The definitions are concise and easy-to-understand, and line-drawings throughout help to visually explain many entries. Supplemented by archaeological and geological information Smith's Bible Dictionary is a classic reference book, the perfect companion on a most rewarding journey of discovery. 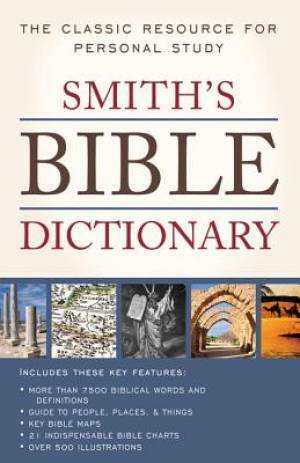 Smith's Bible Dictionary by William Smith was published by Barbour in October 2012 and is our 16860th best seller. The ISBN for Smith's Bible Dictionary is 9781616269685. Be the first to review Smith's Bible Dictionary! Got a question? No problem! Just click here to ask us about Smith's Bible Dictionary.